It's so excited to introduce you the best 3D Sun and Moon Virtualization app on iPhone! 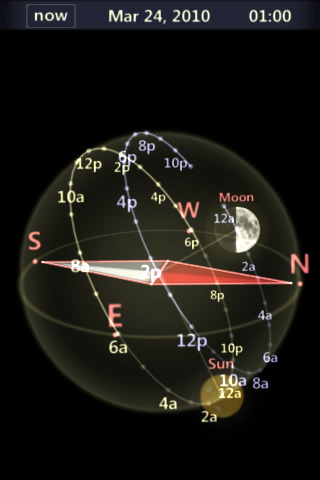 This is a virtual 3D compass sphere which shows the position of Sun and Moon in the sky with perfect application of virtual reality technology! Full utilization of the build-in accelerometer drive the best user experience. 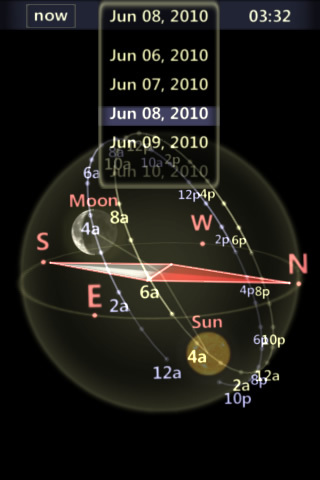 - You could see the current position of the Sun and Moon simultaneously on a 3D Compass ball, and the 24-hour orbit of the Sun and Moon will be displayed as a circle surround the ball. 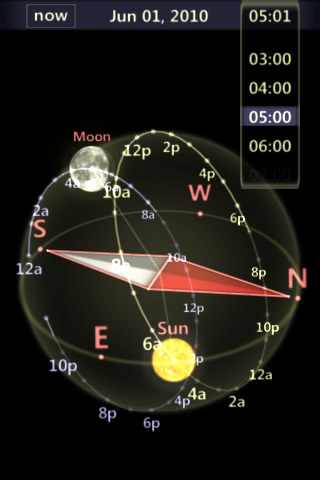 - Use the accelerometer to look up and down, view the scene in different angle by rotating the device. 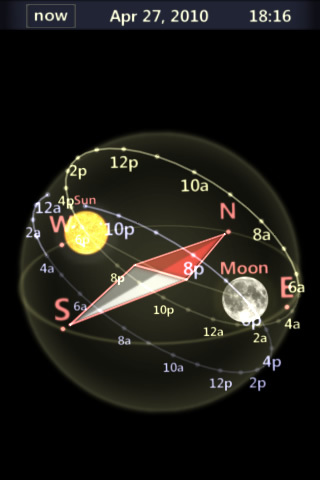 - Use one finger to rotate the Compass ball left or right, the position of Sun and Moon will be updated accordingly. 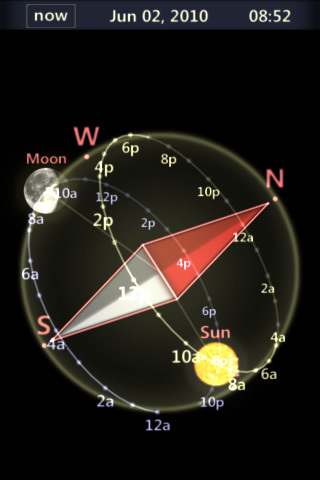 If you get iPhone 3GS or iPad, you can check out another app of mine called "3D Sun&Moon Compass 3GS", which can make full use of the build-in digital compass and drive you the best user experience!